Take a cooker, add ghee to it. Once it is hot add cashew nuts, ginger, green chillies, jeera, pepper corns and also little pepper powder, hing, curry leaves. Now add spinach to it and cook for 5 mins. Now add 4 cups of water, and add cracked wheat and salt to taste. Now close the lid of the cooker let it whistle 2-3 times. Switch off the stove. 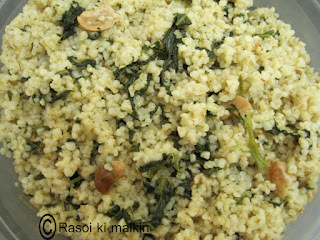 You will have nice cracked wheat spinach pongal ready to enjoy. 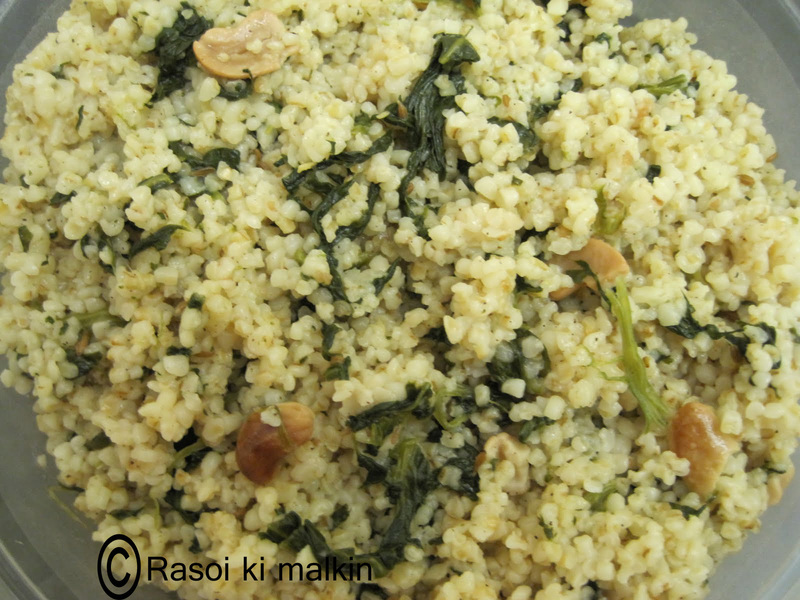 It is very healthy as you are getting fiber and iron through cracked wheat and spinach respectively. Iam getting this recipe and photo, from my daughter Sri.